The JU connector has been developed to meet the markets ever increasing demand for small, high-density electronic connectors. With an operating specification of; 0.5 Amps and 50 Volts AC/DC respectively. 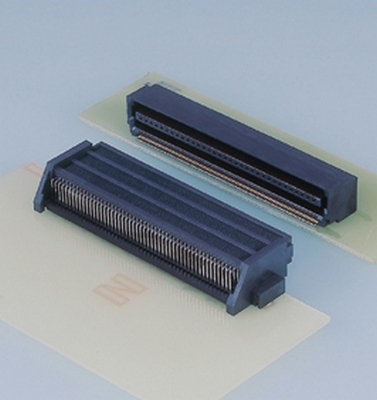 This 0.6mm pitch board-to-board connector accommodates up to 200 circuits and is available in both top and side entry variations. The housing of this connector is made from LCP (Liquid Crystal Polymer), which makes this more than suitable for SMT and THT reflow environments. Also, tin whiskering, which is sometimes associated with fine pitch lead free products, is alleviated via pure tin (reflowed) plating of the connectors contacts. 0.6mm (.024") pitch (200 circuits max.) contributes high density PC board design. Bellows shaped contact point reduces insertion force.